Esse sistema de headphone sem fio versátil te dá áudio de alta qualidade com a liberade de não ter cabos em quase lugar nenhum. O transmissor compacto funciona com bateria ou corrente elétrica. O design fechado evita ruídos. O RS 160 é um sistema de duas partes que combina a melhor qualidade de áudio sem fio com um transmissor portátil extremamente versátil para ouvir em casa, em movimento ou no escritório. Este sistema para fones de ouvido sem fio consiste em um fone de ouvido estéreo (HDR 160) e um transmissor compacto (TX 160) que pode ser alimentado em energia por bateria ou conexão na tomada de força para melhor se acomodar a suas aplicações. Apenas ligue e pronto! O tamanho compacto do transmissor torna-o uma escolha natural para instalações automotivas e em escritórios. O RS 160 utiliza transmissão digital sem fio tipo KLEER, oferecendo sinal em até 20m (linha reta) de sinal hi-fi para recepção por até 4 pares de fones de ouvido opcionais do tipo Sennheiser KLEER. Sem necessidade de ajustes posteriores graças ao pareamento automático livre de interferências entre o fone de ouvido e o transmissor, é só liga-los. Em termos de som, os graves são empolgantes e encorpados enquanto o ajuste preciso e confortável sobre as orelhas efetivamente isola contra ruído ambiente. How do I pair the headphones (single or multiple) to the transmitter? Step 1: Start with both the headphones and the transmitter unit off. You should see no lights blinking when the components are off. NOTE: Press and hold the power button for 1 second to turn the components off. Step 2: Simultaneously press and hold the power button on the transmitter and the power button on the headphones for about 8 seconds until you see rapid blinking of the lights (about twice a second). Once you see rapid blinking you may release both buttons. Wait for the rapid flashing (about twice a second) to slow down to slow flashing (about once every five seconds) which will take about 30 seconds. NOTE: If you are connected to an audio source that is turned on at this point you would hear audio in the headphones. Step 3: Turn the headphones and transmitter off. NOTE: If you have a second, third, or fourth set of headphones that you want to link to the same transmitter then repeat steps 1 and 2 and 3 with each pair of headphone doing one pair at a time and turning both the transmitter and headphones off after the pairing process. If you are plan to use more than one set of headphones on the same transmitter at the same time then you will need to put the transmitter into the "multi mode" before you can hear sound out of all the headphones at the same time. To enter multi mode press the power button on the transmitter to turn it on and then press the power button on the transmitter once more to enter the "multi mode". When the transmitter is first turned on you will notice that the light blinks once every five seconds and after entering multi mode and a second headset is turned on you will notice the power light on the transmitter blinks twice every five (5) seconds to indicate the "multi mode". Please review this "How To" video (http://www.youtube.com/watch?v=brFXknPUjPc) to see the process in real time. How do I set up the RS 160 wireless headphones? Step 3: Use the power cable to connect the transmitter/charger to an electrical outlet. Alternatively the transmitter can be powered by two (2) AA batteries. Step 7: Turn on your transmitter. The LED on the transmitter will illuminate and start blinking. Step 8: Turn on your headphones. The LED on the transmitter will illuminate and start blinking. Step 9: Wait 30-60 seconds for the wireless signal between the headphones and transmitter to be established and then you will have audio. NOTE: The RS 160 & RS 170 & RS 180 models do not include a digital connection. If you need to connect to a digital audio output then you will need a digital to analog decoder like the OREI DA 34. What do I do if my unit suddenly stopped working? Step 1: Start with both the headphones and transmitter turned off (ie: no blinking lights). Step 3: The headphones are now paired with the transmitter. NOTE: To pair additional headsets turn off all components and repeat the steps listed above. Please check out this "How To" video (http://www.youtube.com/watch?v=brFXknPUjPc) to see the process in real time. NOTE: If the GREEN light doesn't come on or comes on and then goes away when the transmitter is plugged into both a power source and an audio source then it means that the audio signal is is too low (or not getting to the transmitter at all). The transmitter needs a nice, strong signal to work with and if the audio signal is very weak (or non-existent) the internal electronics will shut off within 5 minutes to conserve battery life. If this is the case then the signal level needs to be increased before reaching the transmitter. This can be accomplished by turning up your source on variable-level outputs (TV Volume) or by increasing the signal from a fixed-level output (increasing the output level to the audio output jacks which is done through the TV set up options). Try increasing it in small increments to prevent overload which results in distortion. Also check to see that you are connected to outputs and not inputs. NOTE: After the reset the LED that indicates charging may be out of sync with the internal electronics so it may not act in the manner that should be expected (ie: doesn't come on, doesn't turn off, comes on briefly and turns off). This is not an issue and will resolve itself after a few days of using the headphones and charging the headphones and using the headphones. It is a matter of the LED and internal electronics getting back in sync. What is the difference between RS 160 and TR 160 and HDR 160? 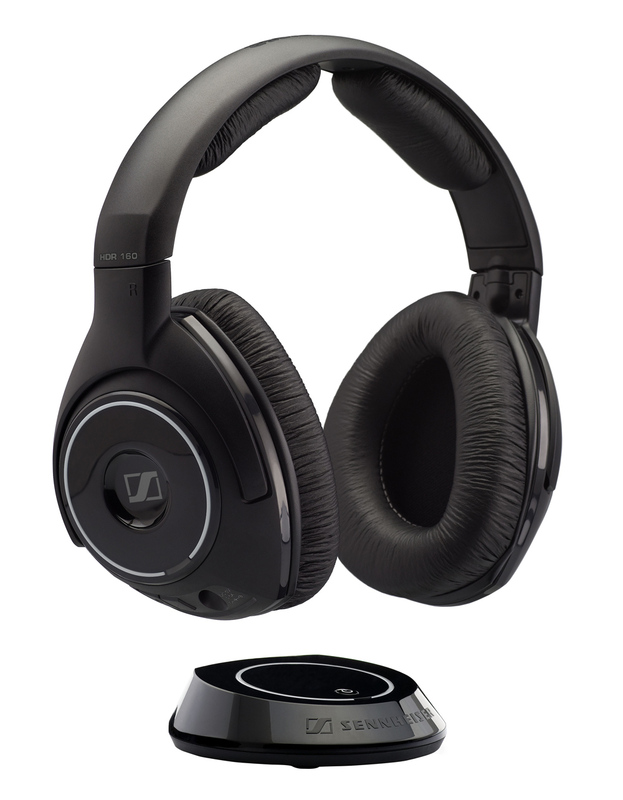 The RS 160 is the model number refers to the complete wireless headphone system. This system consists of the transmitter (TR 160) and headphones (HDR 160). What is the input impedance of the RS 160 transmitter? The input impedance of the 3.5 mm audio input jack on the transmitter depends on the setting of the attenuation switch on the back of the transmitter. If the attenuation switch is set to -8 dB it is about 12 kohm. If the attenuation switch is set to 0 dB it is about 80 kohm for the RS 160. Why are my headphones are not charging (intermittent charging light)? On the front of the transmitter there is the battery charging indicator light and when the battery is charging this indicator will light up AMBER. NOTE: Once the battery is charged the AMBER light will go out. 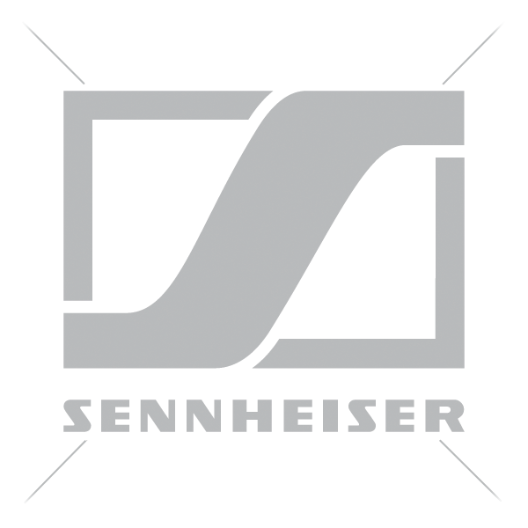 The batteries are initially charged at manufacture but Sennheiser has no way of knowing how much the batteries will be depleted from the time they leave the factory to the time a customer sets them up so we recommend the 16 hour charge to be on the safe side. Initially the charge may be quite short but once you start using the headphones the charging process will take longer and the charge light will stay on for longer. Initially when the headphones are brand new the charging light on the transmitter may appear intermittently. Usually it will take a few charging cycles (ie: using the headphones and charging the headphones) for the charging electronics in the headphones and transmitter to get into sync and the issue will resolve itself. When the headphones have been in use for awhile occasionally the headphones can develop an electrical glitch where the LED indicator light and the internal electronics get out of sync so the light will either not come on as expected or remain lit after fully charging or be intermittent. This may happen when products are disconnected from power for a period of time, the batteries have recently been changed or a power surge has occurred. It usually takes a few charging cycles (ie: using the headphones for a few hours and then charging them) for the lights and internal electronics to sync up. If you are experiencing this issue simply use the headphones and charge the headphones in a normal manner and the indicator light and internal electronics will get into sync and the issue will resolve itself.